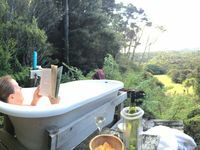 Property 19: ~ Kaka Cottage ~ Little Bay - Bookabach Best Eco Friendly Bronze 2015! Property 22: Stunning ocean views, hidden gem close to beach. Very private and quiet. Property 25: Poppy Apartments ~ Stunning Views! Property 28: Waterfront Vista in Wyuna Bay. Property 36: A hop, skip and jump from the door into the water! Property 40: Stylish and Peaceful Heritage Listed Cottage - 4 bedrooms & 2 bathrooms. 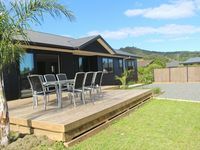 Property 48: Waitete Bay Beach Retreat - NICE! Super little place, had everything you need. We didn&rsquo;t go short on cleaning supplies or toilet paper that&rsquo;s for sure! Handy for shops and beach is amazing! Hosts were quick on the communication too. Thanks heaps!